2009 SUMMER CAMP SERIES ONLY AT GDS!! SCHEDULE HAS JUST BEEN SET! Get your spot quick- space is limited!! MULTI-SESSION & EARLY BIRD DISCOUNTS!! Enroll in more than one session or register before June 15th and SAVE 10%! SAVE 15% if you qualify for Early Bird AND Multi-Session Programs! Pretty Princesses Dance Camp- Pirates are welcome too! CALL OR STOP BY THE FRONT DESK TO ENROLL!! Garri Dancers performed at "Stevenson Rocks" last Friday! Garri Dance Studio's After School Hip Hop Students had an awesome performance at The Stevenson Rocks event on Friday May 8, 2009! Miss Sophie taught her hip hoppers dance moves to some old school jams that wowed the audience last Friday! We are all so proud of your hard work kids! Don't forget... don't miss out on hip hop this Summer with Miss Sophie's Hip Hop Club held once a week which is exclusively for Stevenson Students!! Help us keep our "Best of Burbank" Status!! We need your help! As you know, our students and their families have voted Garri Dance Studio as the "Best Dance School" in Burbank for the past two consecutive years. Only you have the power to help us keep our status as Best Dance School in Burbank! The Burbank Leader Newspaper comes out on Wednesdays and Saturdays. Be sure to pick one up and pick your favorites- not just for the best dance school...help out all of your other favorites too! Many Burbankians choose to patronize new restaurants, grocery stores, mechanics, hair salons, clothing stores, etc based on the Best of Burbank results. This award means the most because it is the voice of the community! The Burbank Leader only takes your opinions for a few weeks, so hurry and pick up a copy today. Find the "Reader's Choice Poll" page and vote for Garri Dance Studio as the "Best Dance School" in Burbank and we will strive to keep the same great dance classes, instructors, recitals, student appreciation days, mother daughter/mother son dance days and more coming right at you. Garri Dance Studio is scheduled to hold a benefit dance and music performance on Wednesday May 27, 2009 at 7:30pm in the auditorium of Robert Louis Stevenson Elementary School in Burbank. Stevenson Elementary School is located at 3333 Oak Street in Burbank, CA 91505. This show is intended as a preview to the traditional Garri Dance Studio recital which will be held at the Alex Theatre in Glendale on June 6, 2009. 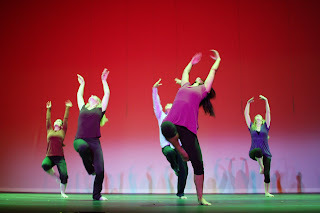 The theme of the 2009 recital is “Summer Fun” and will include dance numbers in the genres of ballet, tap, jazz, hip hop, musical theatre and contemporary dance. This show will feature dance and music students of all ages and levels from Garri Dance Studio, the majority of which are also Burbank residents and students of Burbank Unified School District. Several faculty members of Garri Dance Studio are also donating a choreographic piece to be performed in the show and will showcase dance instructors of Garri Dance Studio whom are all professional dancers and have performed on stage, in commercials and industrials locally, nationally and internationally. Tickets will be sold for $15 and 100% of the proceeds will be donated directly to the Burbank Arts Education Foundation which is an organization providing quality dance, music and arts programs to Burbank Unfied School District Students in conjunction with Arts for All.